This entry was posted on May 22, 2012 by Luke Austin. 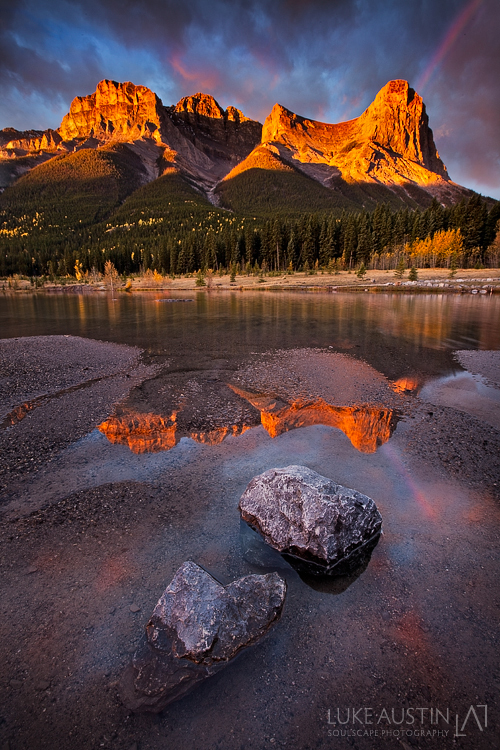 It was filed under Uncategorized and was tagged with Alberta, alpine glow, australian landscape photographer, Autumn, banff, Canada, Canmore, chinamans, fall, ha ling, luke austin, peak, Sunrise, workshop. Another beautiful image, magic light…. Yowza! This is one of your best, Luke. I assume you used a graduated density filter on the sky? A perfect moment to capture. The processing and shot are outstanding.